This corner west facing condo has the most fabulous panoramic view of the gulf of mexico. This condo is not on a rental program and it shows. 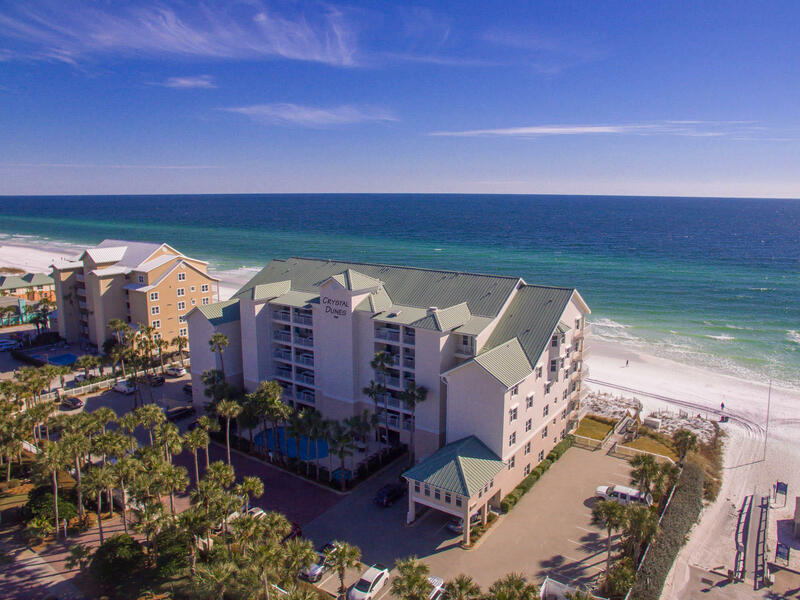 Located on the 4th floor and dominating the western end of the building with a wrap around balcony, the sunsets are the best on the emerald coast! Every bedroom has a view of the gorgeous white sand beaches. This 3 bedroom, 3 bath is big enough for your family plus friends. It also makes a great rental with elegant granite counter tops and porcelain title floors in the kitchen and bathrooms. The condo has a private pool, hot tub, grilling area and private beach access. There is casual and fine dining, golfing and shopping nearby. This renovated condo is offered fully furnished. For more information or make an appointment to see property ID 815402.